"Your version is coming." 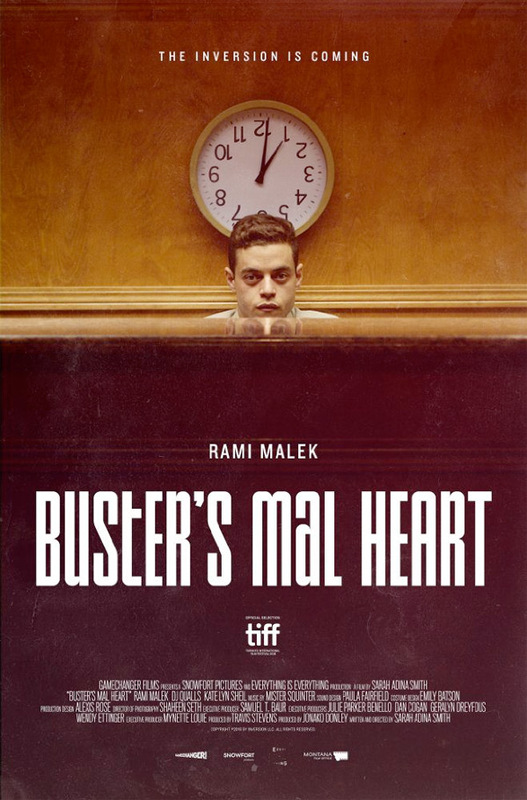 A new trailer has debuted for the film Buster's Mal Heart, which premiered at the Toronto Film Festival last year (we featured a festival teaser for this last year). Directed by Sarah Adina Smith, the film stars Rami Malek as a "troubled man on the run from fate" who suffers from a recurring dream. In the dream he's haunted by being lost at sea only to discover that the dream is real: He is one man in two bodies. The cast includes DJ Squalls, Kate Lyn Sheil, Lin Shaye, Toby Huss, Mark Kelly and Teresa Yenque. This sounds very intriguing, and it looks like it might be good, I'm definitely curious. I love the music in this trailer - odd but it works. Plus it's always nice to see Malek in more films. Check it out.